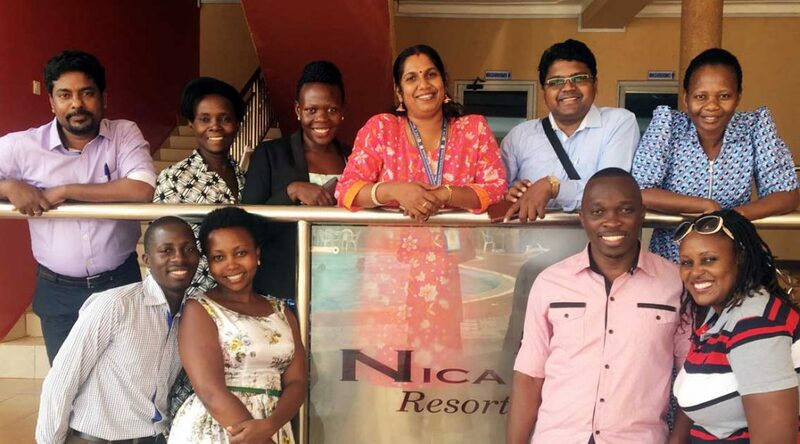 Seema, center, takes a picture with her fellow Indian coordinators and staff members from Uganda. 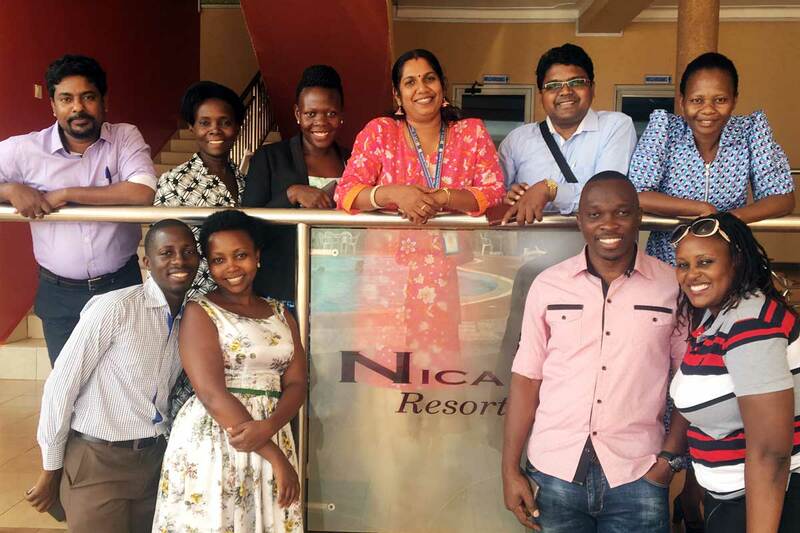 Recently three of our program coordinators from India traveled to Kenya and Uganda to see how the Unbound program works in those countries. They had the opportunity to learn from their African coworkers and to experience what poverty looks like in Kenya and Uganda compared to India. This first reflection is from Seema Mohan Kumar, the program coordinator for our Chennai office in India. I’ve taken a lot of positivity from this experience and a lot of learning too. Nairobi and Uganda was not what I had expected, and though we had to strictly take yellow fever shots, not all the places are filled with mosquitoes. The two African countries I’ve visited have been full of happiness. I have gained some life experience. Now I have changed more and I had to take the long road to re-examine my view of my community. Education in Kenya and Uganda was noticeably taken very seriously and it’s the key for their future. 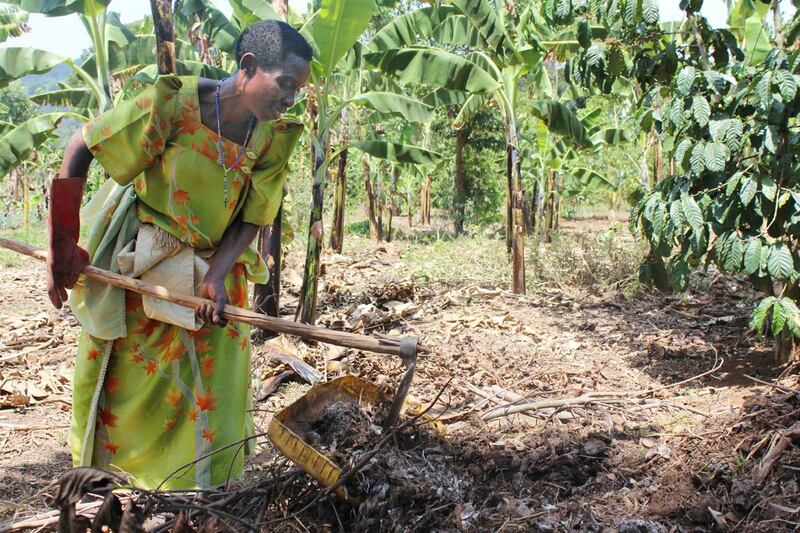 Maxensia shovels compost made from pig manure produced on her farm in Uganda. She uses it to fertilize her coffee plants. Maxensia’s son, Lawrence, 21, is sponsored by Albert in Washington. 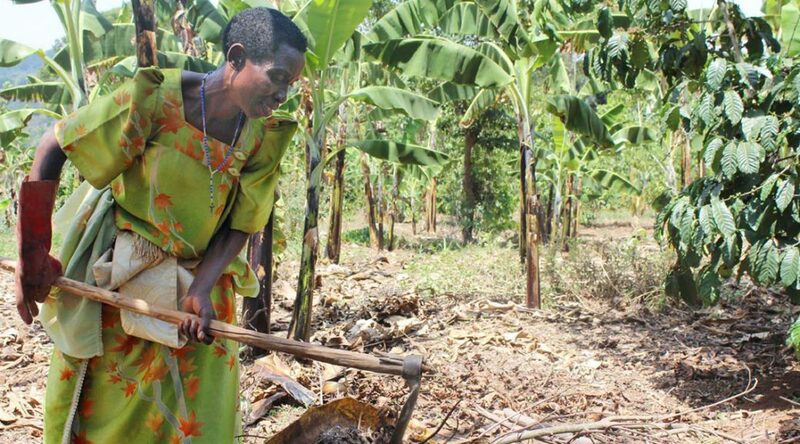 Maxensia, a widowed mother of eight, tends to her coffee plants in a village in Uganda. Nearby, 11 pigs sunbathe in a sty built of rough wood. 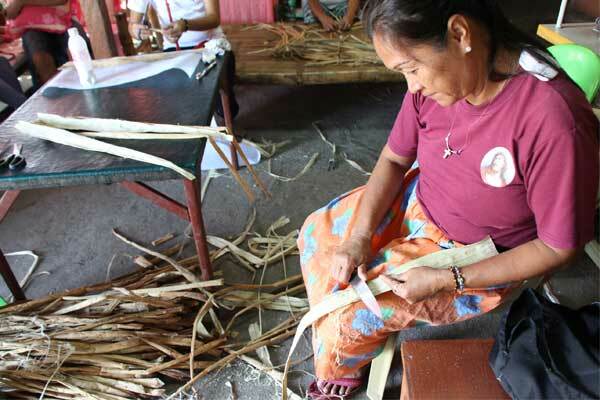 At age 50, Maxensia has become an entrepreneur. Her pig farm is growing, and she also runs a small coffee farm. 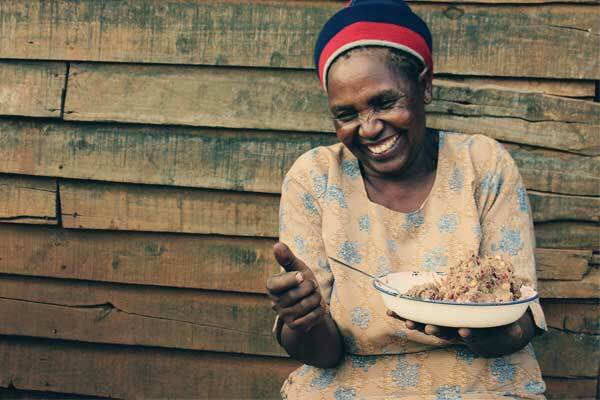 After her husband died 17 years ago, Maxensia struggled to provide for her children’s basic needs. Her son, Lawrence, was sponsored in 2006, and she joined the Unbound support group for parents of sponsored children. Through the group, she got a boost toward economic self-sufficiency. In Uganda, like in many other countries where Unbound works, parent groups serve as the foundation of the sponsorship program for children. 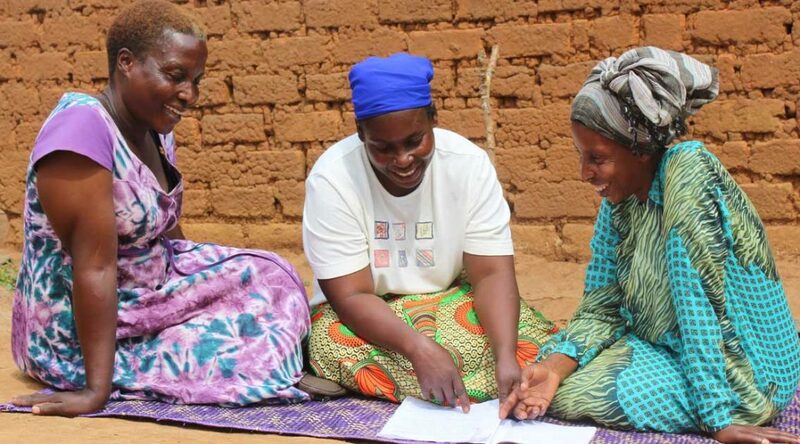 When a child is sponsored, parents or guardians join the local group. They receive training from Unbound staff, save money by making small contributions to the group savings and gain access to loans. In parent groups, the impact of sponsorship is multiplied through the power of community. 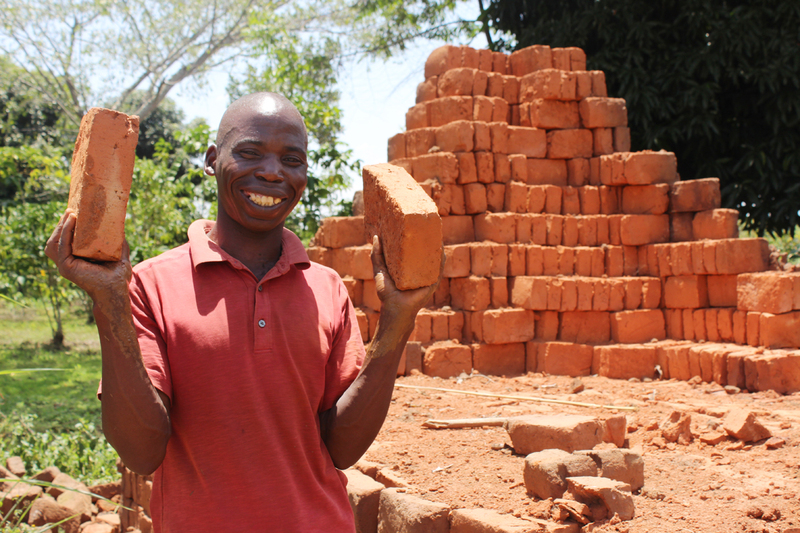 Charles, father of a sponsored child in Uganda, displays freshly dried bricks, which he’ll soon sell to support his family. It’s almost Father’s Day, and over the past weeks, we’ve been sharing the stories of inspiring dads in the Unbound community. 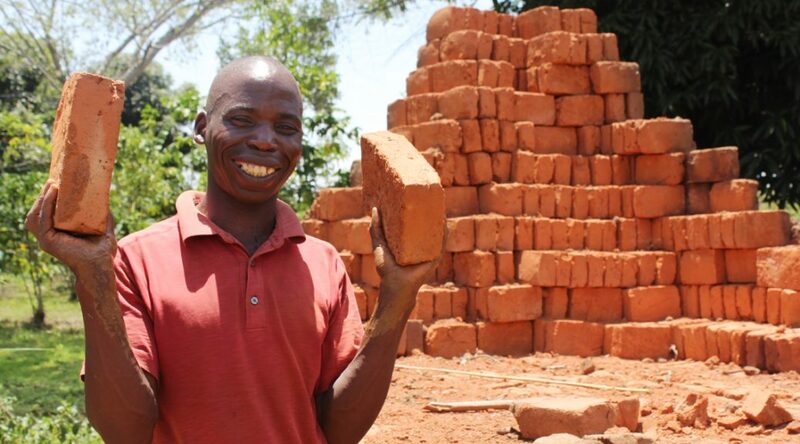 Charles is a dad in Uganda who’s been working hard to make a good living to support his family. 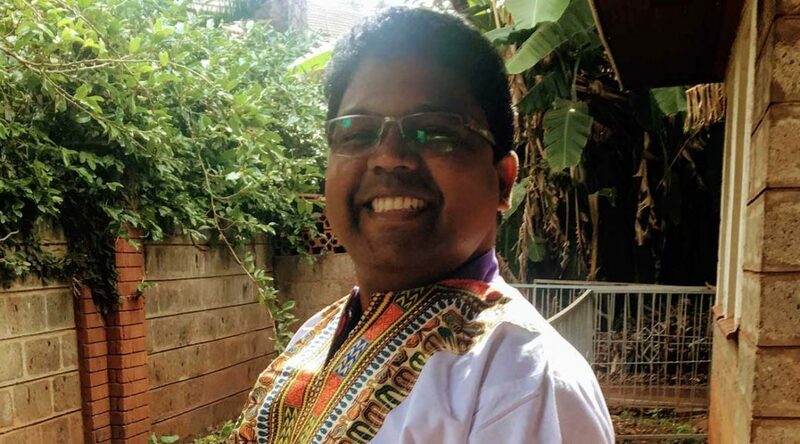 He took some time to share about his journey with Unbound communications liaison Regina Mburu. 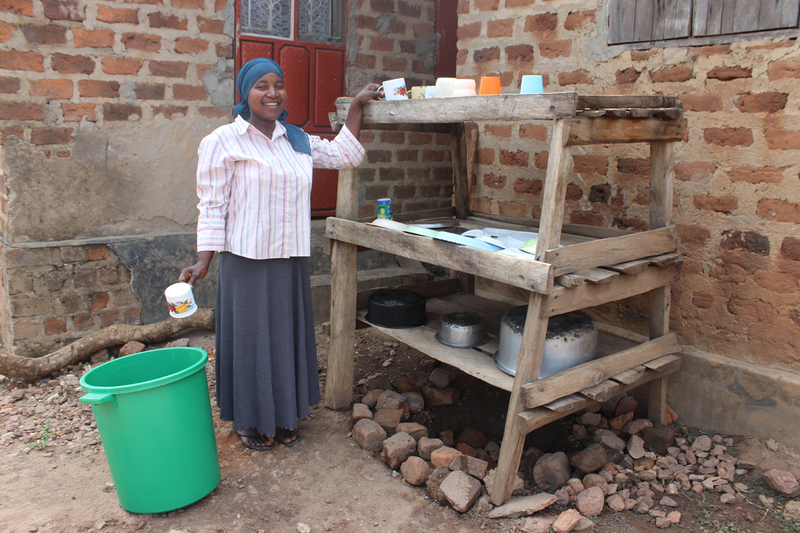 Ndagire sets dishes on a drying rack after washing them. 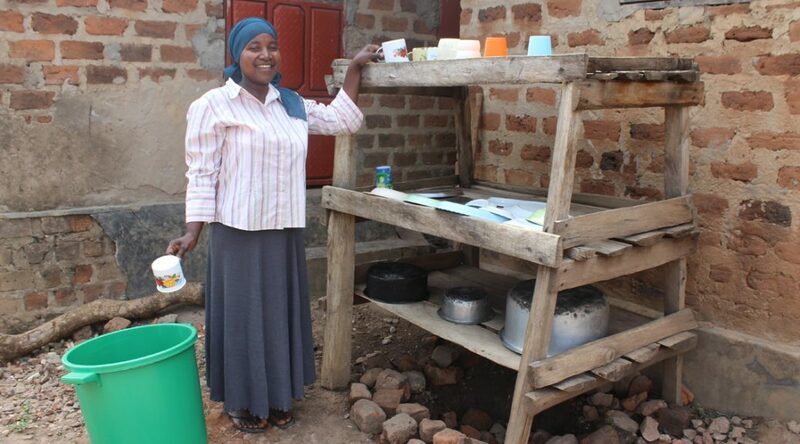 Her Unbound parent group taught her about the hygienic benefits of a dish rack. As we’ve shared in blog posts over the last few weeks, Unbound’s highly personalized benefits are creating opportunity for families of all types around the world. In Uganda, parents of sponsored children are taking steps toward safety and health in their homes with the help of sponsorship. 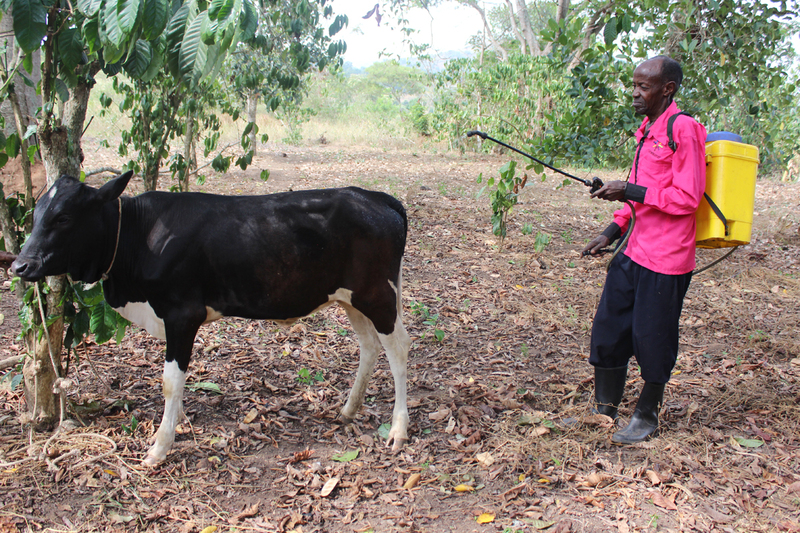 Fred, a sponsored elder in Uganda, uses his new water pump to spray his cow. 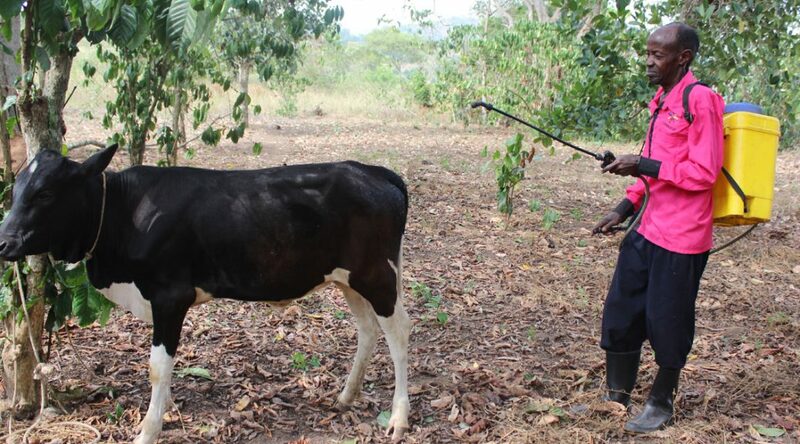 He used his sponsorship benefits to purchase the pump, which helps him care for his livestock. Many things set Unbound apart. We’re the only major U.S.-based organization that offers sponsorship for elders. The communities we work with have created a small group model that provides support and accountability for the parents of sponsored children. We consistently achieve top ratings from charity evaluators, with more than 92 percent of our expenses going to program support. All of these things are supported by one of the most unique aspects of our program — highly personalized benefits. 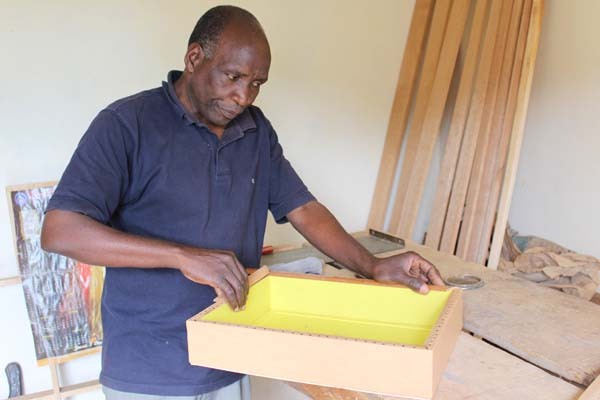 Mark, the father of a child sponsored through Unbound, works in his woodshop in Uganda. On a sunny day in Uganda, Mark is hard at work in his backyard woodshop. A self-employed carpenter for 31 years, Mark has had to jump a lot of hurdles to get his business — and his family — to the steady place they are now. His daughter, Veronika, is sponsored through Unbound and he attributes much of the family’s economic stability to her sponsorship.